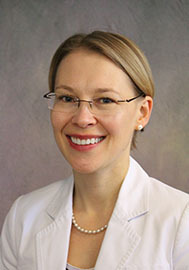 Alexandra "Sasha" Boltasseva has been named a fellow of the Optical Society (OSA). She was cited for "seminal contributions to the fields of nanophotonics and new plasmonic materials." OSA members who have served with distinction in the advancement of optics and photonics can be proposed for election to the class of fellow. The number of fellows is limited by the society's bylaws to be no more than 10 percent of the total OSA membership and the number elected each year is limited to approximately 0.4 percent of the current membership total. In addition to receiving member benefits and recognition of their fellow status, OSA fellow members may also apply for travel grants to visit and lecture in developing countries. Candidates for fellow membership are nominated by current OSA fellows. The OSA Fellow Members Committee reviews each nomination and recommends candidates to the OSA Board of Directors annually.